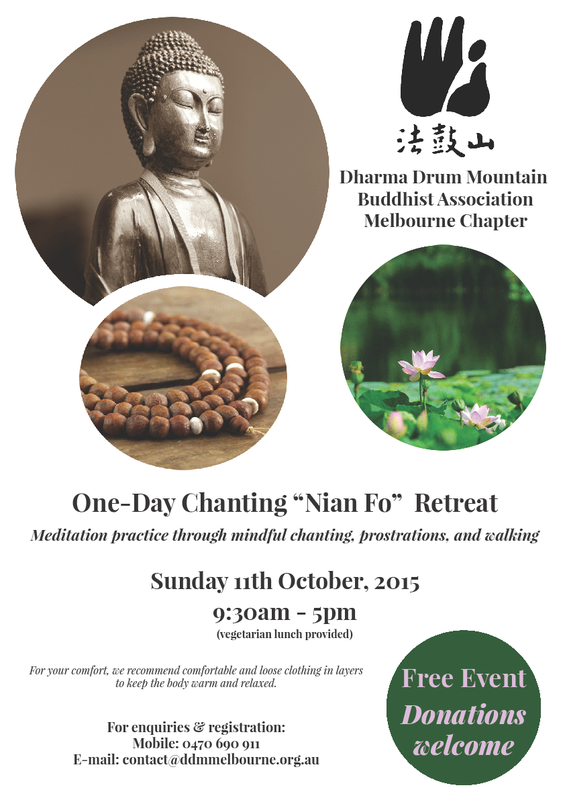 Chan Buddhism teaches that “Chan” exists in all every day activities. In every moment, chanting the Buddha’s name - ‘A’ ‘Mi’ ‘To’ ‘Fo’ - to replace our wandering thoughts, is an effective tool for managing our emotions. Through mindfully chanting the Buddha’s name with every cell in our body, we can experience the Prajna Samadhi (perfect wisdom and compassion), and further actualise the eternal true mind. We invite you to learn and understand the practice of Chan (Japanese “Zen”) meditation, where we focus on the cultivation of wisdom and compassion. By attaining freedom and ease of body and mind, we are able to apply mindfulness and wisdom to all aspects of our daily life. 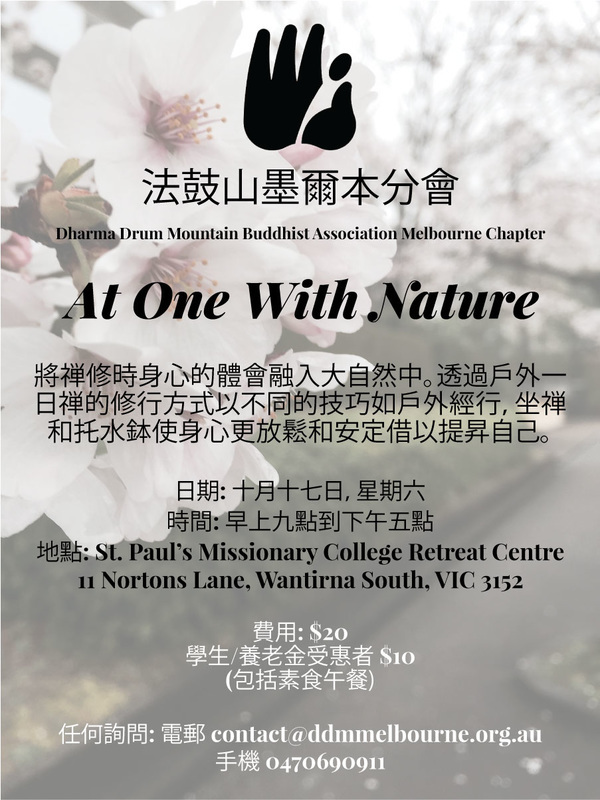 This retreat will be led by visiting monastics from DDM Taiwan and you will learn how to apply simple methods of meditation and mindfulness while sitting, walking, exercising and during all other daily activities.